This year six debutants qualified for Blackpool who will stand for the first time on the stage of the Winter Gardens. Two of them are Dutch, one is from England, one from Ireland, one from Wales and one from Germany. Dutchman Jeffrey de Zwaan and German Max Hopp are the youngest debutants and born in the same year. While de Zwaan celebrated his 22 birthday in March Max Hopp was born in August. De Zwaan and Hopp already clashed several times over the years. In the record Hopp has the advantage with five wins and four defeats. The first defeat for de Zwaan already happened 2011 in the final of the Winmau Youth World Masters. 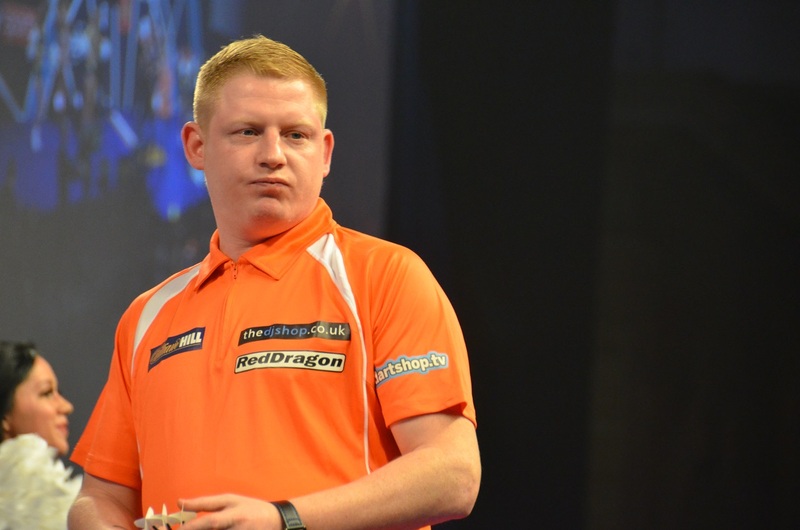 While Hopp changed early to the PDC - he played with 16 2013 in his first PDC World Championship - de Zwaan stayed a few more years in the BDO/WDF circuit and in 2012 he won the Winmau Youth World Masters title. 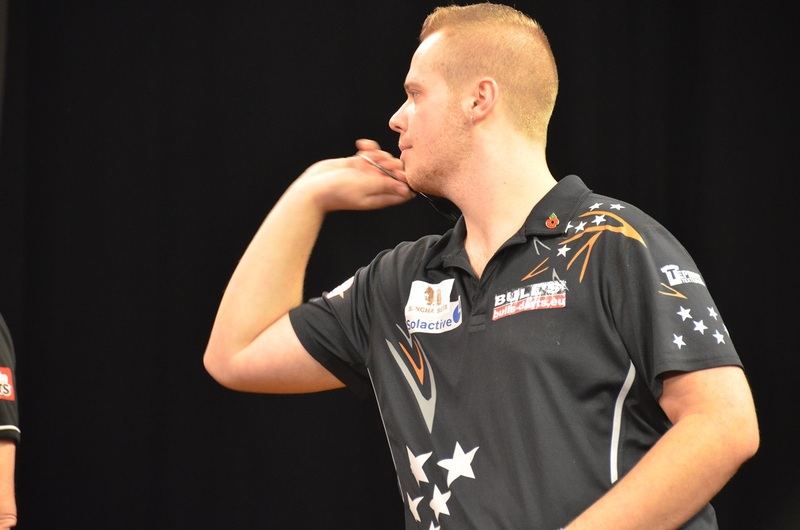 2015 de Zwaan took part in the PDC Qualifying School and already on the first day won a Tour Card. 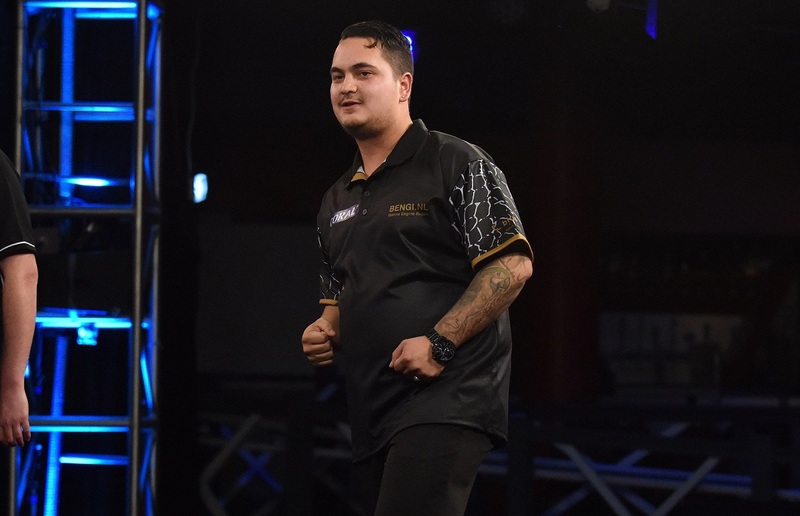 During his first year in the PDC de Zwaan defeated Phil Taylor in an UKO Qualifier and threw a nine-darter on the Pro Tour. 2016 he took part for the first time in the PDC World Championship where he lost in a sudden death leg to Michael Smith. His career stagnated after that and he lost his Tour Card end of 2017. So de Zwaan in 2018 again took part in Q School and regained his Tour Card. 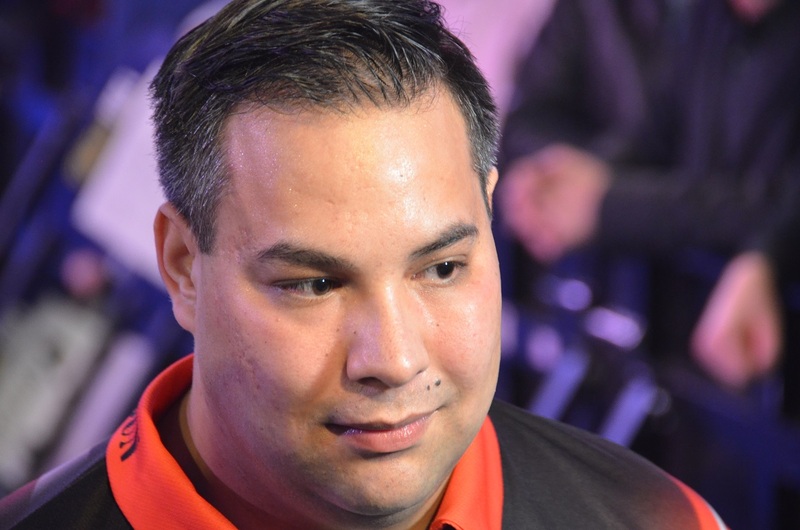 It looks he is in much better form this year, he even won his first Players Championship and managed to qualify by the PDC Pro Tour Order of Merit for the World Matchplay. He will play in the first round against the number one seed Michael van Gerwen who will look for revenge as de Zwaan eliminated him for this year's memorable UK Open. Should de Zwaan manage to defeat van Gerwen again he could meet in round two Adrian Lewis or James Wilson - to be sure not an easy task as well. In round three one of the possible opponents could be another debutant - Jonny Clayton. 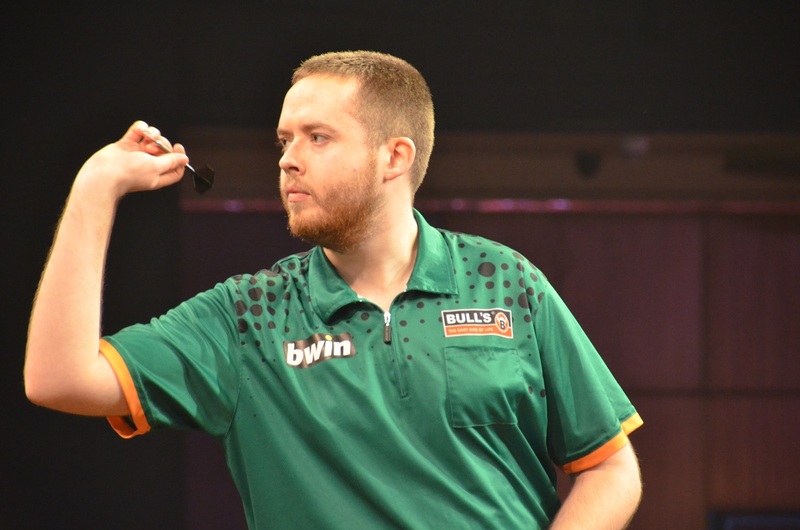 Max Hopp for some more years than de Zwaan plays on the PDC Tour and till now he always managed to get a Tour Card without having to take part in the Qualifying School. He till now biggest success was the win of the PDC Unicorn World Youth Championship 2015 which helped him to an invitation for the Grand Slam in the same year. But especially in 2017 to the disappointment of his German fans his career stagnated and he missed out for the first time since 2013 the World Championship. The start into 2018 was a little bit rough as well but it followed some god placings on the Pro Tour and a little bit surprising the win of the German Open - an European Tour Event. He was not as successful in the following events, so it is difficult to assess in which form he will turn up for the World Matchplay. But to be sure even to qualify for the tournament is an enormous achievement - he is the first German who ever managed it. Hopp will play in the first round against Ian White - a player he often defeated in the past though White managed to win their last clash. Should Max be able to win he could meet in the second round Mensur Suljovic and in round three World Champion Rob Cross. Not much older than de Zwaan and Hopp is the 25 years old Irishman Steve Lennon. Lennon started to play darts in 20111 - the same year in which de Zwaan and Hopp played in the final of the Winmau Youth World Masters. Lennon first played on the BDO Circuit and joined the Development Tour. In 2017 he took part in Q School and got a Tour Card. In the same year he managed to qualify for the Grand Slam, survived the group phase and only lost in the k.o. phase against Michael van Gerwen. Lennon qualified for the PDC World Championship 2018 as well but was defeated first round by Michael Smith. In 2018 he reached the final of the Dutch Darts Masters - an European Tour event - and lost again to Michael van Gerwen. But he qualified for the World Matchplay where his first round opponent will be Darren Webster. Webster doesn't-t look to be in top form at the moment so might be Lennon has a change to progress into second round where he would meet Rob Cross or Mervyn King. One of his possible third round opponents could be Mac Hopp. As well some experience on the Development Tour has Richard North, 28 years of age, - the only English debutant. He joined the Development Tour in 2011 after he had taken part without success in the qualifier for the BDO World Championship. North tried three times to win in the past to get a Tour Card but only was successful in his fourth attempt 2017. In his first year he managed to qualify for the World Grand Prix in Dublin, the Players Championships Final and the PDC World Championship 2018 but lost to Raymond van Barneveld. 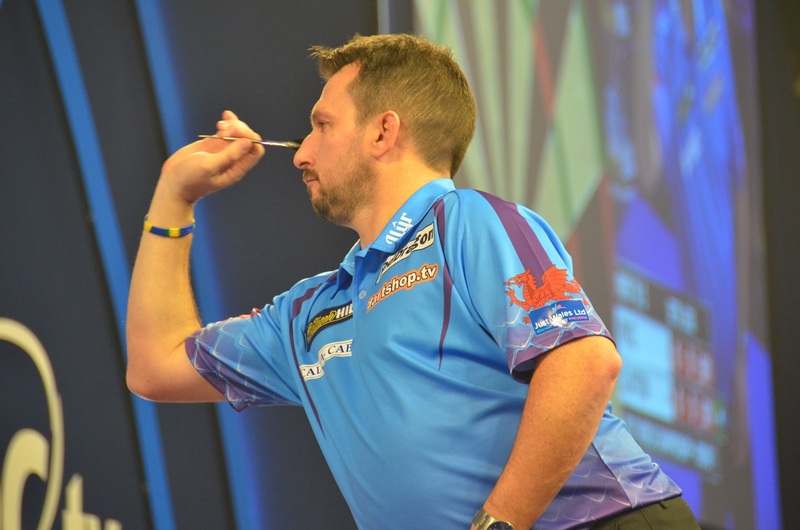 In 2018 North qualified for several European Tour events and reached the semifinals of the European Darts Open. North practices a lot with the PDC players Johnny Haines and Dennis Smith who live like North in Swindon. Simon Whitlock supports him as well and they practiced together. And it will be Simon Whitlock against whom North will play in the first round - to be sure not an easy match for both of them. Should North win he could meet in second round either James Wade or Jermaine Wattimena - another debutant. Jermaine Wattimena is with his thirty years already a well-known face on the PDC circuit though till now consistency is not his strength. He often surprises with a great match which is followed by a weak performance. As Wattimena tells he already won the first tournament he entered - the Malta Open 2008. His next win came on the BDO/WDF Circuit as well; he won the German Open 2014. Since 2015 he has a Tour Card and he qualified 2015, 2016, 2017 and 2018 for the PDC World Championship but only once till now survived the first round. He took part in serval UK Open Finals where he once won against Jonny Clayton. In 2018Wattimena till now twice reached the semi-finals on the Pro Tour and reached the last 16 of the UK Open. Wattimena's first round opponent will be James Wade who is in rising firm - it will not be easy for Wattimena to survive the first round. The oldest of the year's debutants is Jonny Clayton who was born in 1974. Clayton played from 2008 - 2015 on the BDO Circuit and was 2014 member or the winning Welsh team in the WDF Europe Cup. 2015 he got a Tour Card and qualified in the same year for the Grand Slam but didn't survive the group phase.2017 followed his PDC World Championship debut in which he defeated his Welsh fellow country man Gerwyn Price first round. In the same year he celebrated his first win on the Pro Tour and stood in the final of the Players Championships final but lost to Michael van Gerwen. He qualified for the PDC World Championship 2018 but this time lost first round against Jamie Lewis. Clayton reached the fourth round of the UK Open 2018 and later in the year won the Austria Darts Open - an event of the European Tour. Beside he had some good results on the Pro Tour though his PDC World Cup debut with Gerwyn Price was disappointing. As Gerwyn Price Clayton is a former rugby player. His World Matchplay first round opponent will be Michael Smith whom he couldn't defeat till now. To me it looks it will be quite difficult for the debutants to survive the first round and cause an upset. The best chances for me have Steve Lennon and Max Hopp. But I would think at the latest the quarterfinals will be end of the line for the debutants.